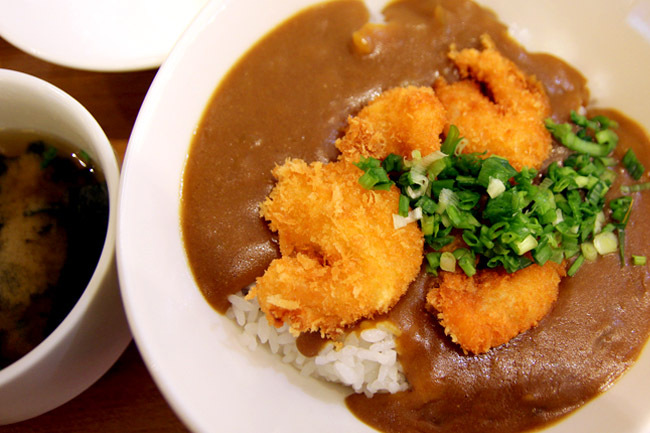 What’s the next big thing in Singapore for food? Looking at new Japanese cafes such as Maccha House, Dolce Tokyo, Hoshino Coffee, Saint Marc’s, Tsujiri Tea House and Nana’s Green Tea (so many! ), I think it is Matcha. Yes matcha, the fine Japanese powdered green tea which is said to boost metabolism, reduce cholesterol, and moderate stress responses. The reason why Japanese have long life? When I first went to Nana’s Green Tea Café at Tokyo SkyTree Japan, I fell in love with the ambience, dessert, service and food. It was like Japanese tai-tai dream place to chit-chat about their children and pets. With 32 branches in Japan, it is termed as the “Japanese Starbucks”. But no offence to Starbucks, Nana’s Green Tea (in Japan) had this additional charm that is hard to put into words and difficult to replicate. And so Nana’s Green Tea came to JCube Singapore. Wrong location. Closed. Next. 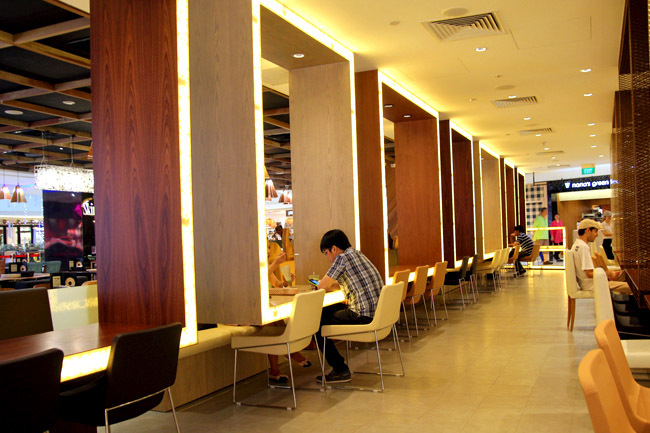 Plaza Singapura’s new The Atrium extension seems to be the right fit for Nana’s Green Tea Café, with many Japanese neighbours from clothing mega-store Uniqlo, semi-buffet restaurant Hifumi, Nabemono place Tsukada Nojo, to café Hoshino Coffee. The Ebi Fried Curry Don I had was $14.80, and weekday lunch sets are pretty affordable at $13.90 with a beverage from Matcha, Hoji to Azuki. 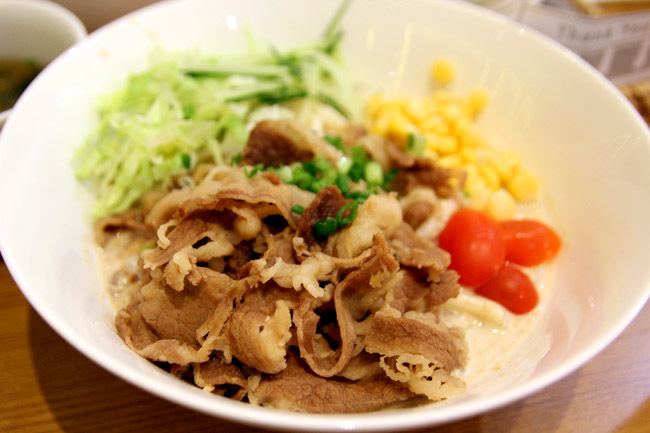 Some of its dishes are fairly interesting-tasting, such as is Gyu Shabu Goma Dare Udon ($15.80) where you get cold udon noodles served with very thinly sliced beef. The special sesame sauce was lightly fragrant and not too heavy on its savour. I am not usually a thick noodle person, but their version makes it feel like healthy and manageble. I do wonder how many customers who are used to hot piping food, can fancy cold udon though. 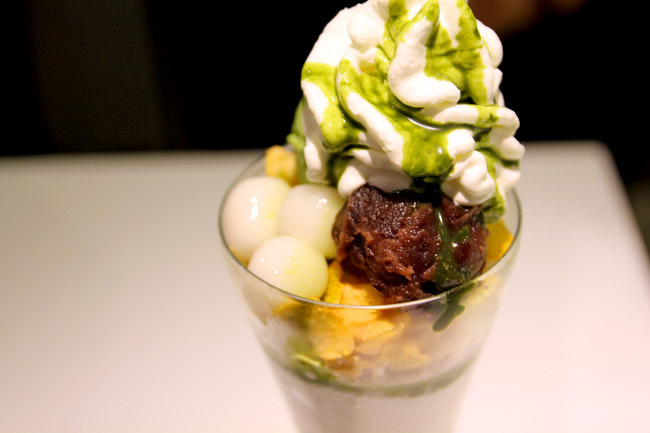 Desserts, such as its Matcha Anmitsu ($8.80), are definitely its strength. It may not blow you away but makes a decent afternoon tea-time treat, with its azuki red bean paste smooth and satisfying. Its signature drinks include Matcha Latte ($7.00), MatchaShiratama Float ($9.00), Hoji Chocolate Latte ($8.00) and Genmai Cha ($5.50). Perhaps it is the low awareness, lack of strong branding or a special X-factor, my guess is people would still rather choose a Starbucks green tea frappucino over a Nana Green Tea’s matcha latte. A pity really. [Giveaway Ended] Nana’s Green Tea Café Giveaway! Step 3: Leave a comment below to name your favourite matcha drink or dessert. Results will be announced 19th Feb (TUES). *Voucher terms & conditions apply. ← Crystal Jade Pristine – New Brand Offers Nourishing, Organic Treats. Will It Work? My favourite beverage is the MatchaShiratama Float! My favourite is Matcha Anmitsu! MatchaShiratama Float!!!! YUM YUM YUM!!! Love the MatchaShiratama Float!! Yummy yummy yum! My favourite drink is Matcha Latte. A pity the J Cube outlet is closed, now I have to travel further to enjoy matcha and matching desserts, but at least it is still up and running somewhere. It has to be MatchaShiratama Float for me! Love to e max.. if only I can have it everyday! Nana Green Tea’s Matcha Latte! Liked & Shared! Nana Green Tea’s Matcha Latte! Love anything related to green tea or matcha! I’m sure I’d have more than sufficient level of antioxidants with their desserts & drinks. Matcha Anmitsu is my favorite ♥ ♥ ♥ ♥ ♥ ♥. Matcha Latte Happy Lunar New Year! My favourite is Matcha Latte. 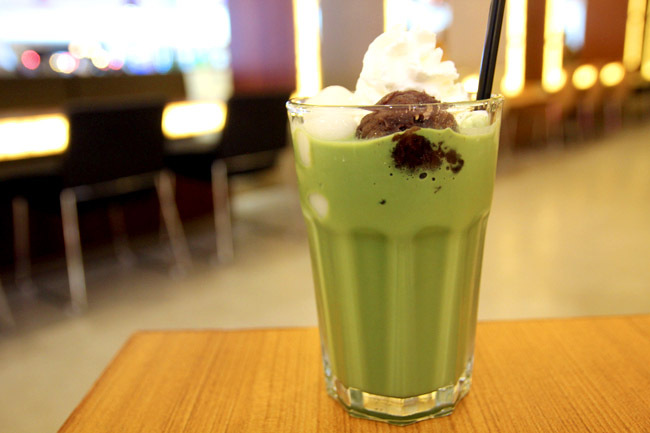 Favourite drink is Matcha Latte…..Love it. My favourite is Matcha Anmitsu. 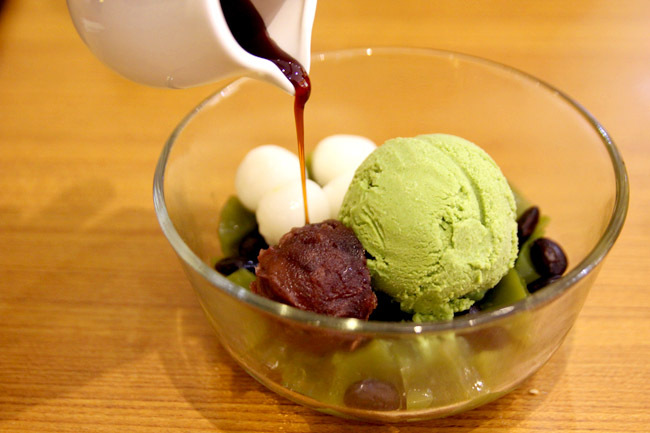 my fav is matcha anmitsu! My favourite is Hoji Chocolate Latte ! Matcha latte, even better with azuki beans! 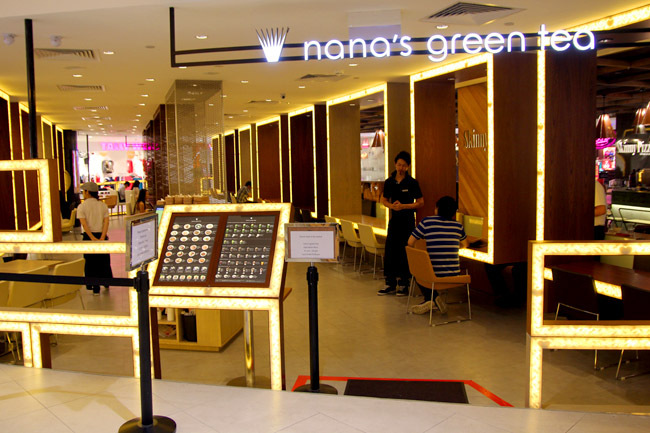 Congrats to Jane (Princess Lifestories), Xin Di, Justin Chong, Sandra Wee, and Leena Soh, you have each won a set of Nana Green Tea’s set lunch. Please email to DanielFoodDiary@gmail.com with your contact details & address. Have a great day everyone! My favorite is matcha latte! Sorry, but it's not the real deal. They use a quick mix powder somewhere close to ingredient grade and machine whisk the base. Granted it's not as bad as Starbucks melon flavourings infused concoction, but if you want the real deal you need to go to one of the bespoke modern matcha latte cafe restaurants in Japan – this is Macdonalds by comparison!